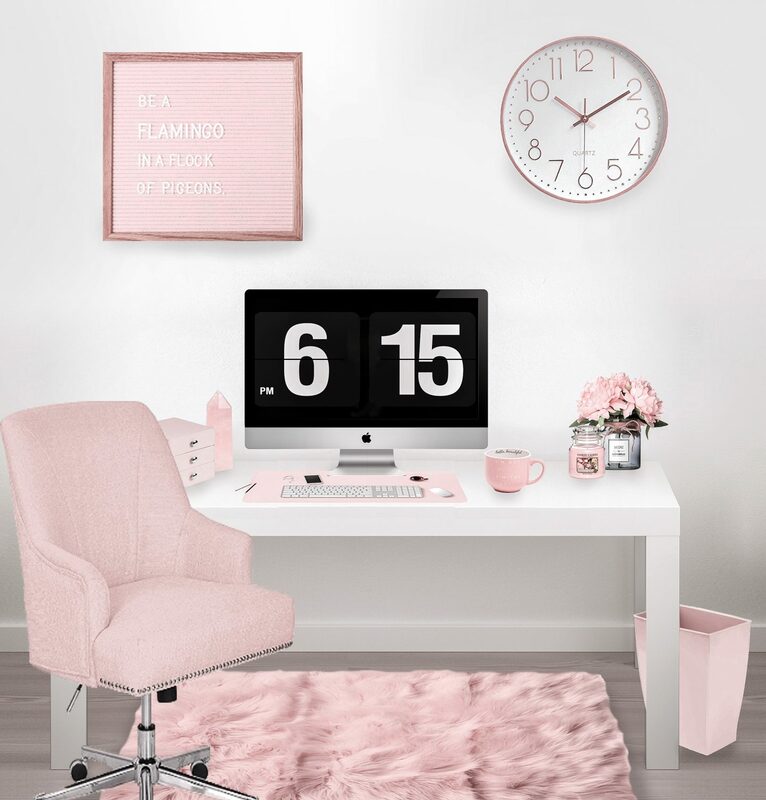 In my opinion, the perfect office would be a pink one with a girl boss worthy desk and soft inspirational aesthetics. 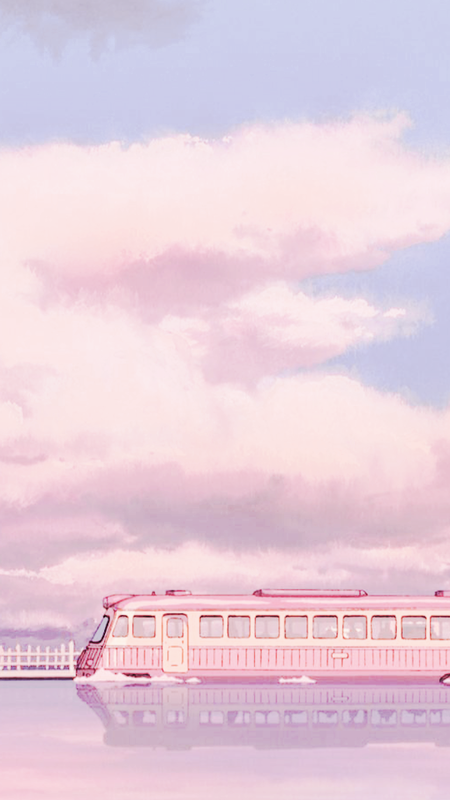 I think pink is an empowering colour. It inspires me. And it makes me happy! That’s why I like to surround myself with this soft colour, as much as my boyfriend lets me. He’s surprisingly supportive of my need for pink, but he has to live in this house as well so I can’t turn it into a pink Disney castle (aww..). 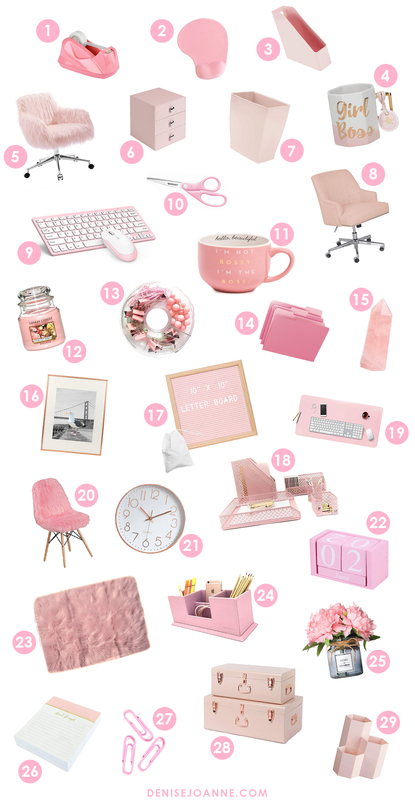 If you are looking to add some more pink shades to your life, why not do it by creating your own pink workspace? I work from home, so I like my desk to be a space of peace with little distractions. I want to feel comfortable surrounded by good lighting and colours and shapes that inspire me. 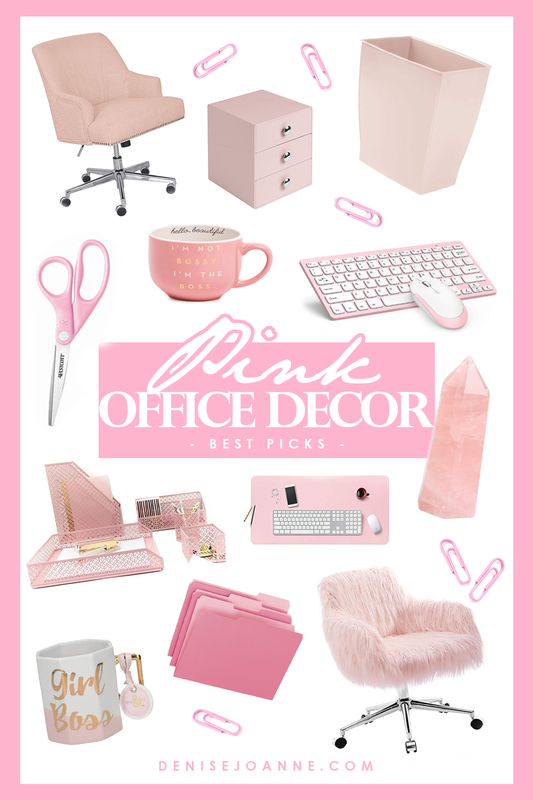 Here’s my personal picks for the perfect pink girl boss office. Spot anything you like? The numbers next to the decos pieces correspond to the links listed below the image. So you can quickly see where to shop them. So, what do you think? Have you started planning your office makeover yet?